High Voltage Tesla Coil Plans! These plans a very special, More than just a science fair project. Produce earth shaking bolts of energy! There is much more to learn from a Tesla coil than meets the eye. The plans take you step by step and are very well illustrated. Great for many high voltage experiments such as, anti-gravity, free energy generators, earth energies, plasma cutters and wireless energy! A SUPER HIGH EFFICIENCY HOME GENERATOR! free energy or high efficiency motors or windmill devices. Also great as a hand crank generator! Detailed AC - DC Generator Plans! This is a new type of AC or DC generator designed by David Waggoner. New Technology for the 21st century, and designed as an easy homemade device that anyone can build! A breakthrough in AC - DC generator design! Great for Home use as well as industrial use! It was designed to operate with our Fuelless Engine, Windmill, and Fuelless Gravity Engine devices but can be operated by other means as well. Rated at about 6kw to 8kw x 120V AC. Can also be built to run at 14.5V DC, to charge a battery bank for home inverter use. Very high efficient! Unlike any other generator seen today! Can easily be designed to operate at much higher voltages other than 120V AC. Great for many high voltage projects. The plans are 137 pages long and are packed with color photo's, drawings and instructions that are easy to follow. 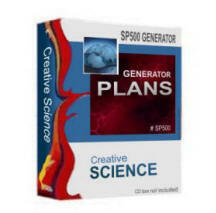 Included in these plans are the horse power / generator formulas. Learn how much horsepower it will take, to achieve a certain wattage or voltage output. Plans also include a rpm formula guide. This will show you how many rpm's it will take to get a 120V AC x 60 Hz or 50 Hz, and how many coils and magnets will be needed for certain rpm's to stay at the standard 60 Hz or 50 Hz cycles for common household current. Covers rpm's from 500 to 3600 rpm's. For those needing 220V AC or 240V AC that live outside the USA, our SP500 can be designed to run at these voltages as well. We know of no other research group that has a generator like this! We have made it easy for you to build at home. You do not have to be an electrical engineer to build this.
" 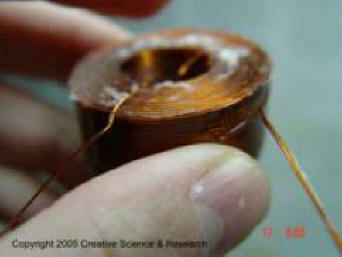 I discovered this special type of generator when I was working on a new prototype for a free energy electrical motor. I placed my array of coils next to moving N38 Neodymium magnets and what I saw on my volt meter just blew me away! I could not believe what I was seeing. The electrical output was like nothing I had ever seen before! Very high efficient! I don't think there is any other generator in the world like our SP500 Generator? And it's not that hard to build! I personally guarantee The SP500 to work or your money back! " 137 pages long Low rpm 0 to 120 V AC or DC. Includes Color photos, as well as drawings and illustrations. SP500 plans are also included in our CD 1 package deal.